Wii U platformer Yoshi’s Woolly World will launch for 3DS in a new version with extra levels. Retitled as Poochy and Yoshi’s Woolly World, the fresh but just as fuzzy version of the fabric-filled platformer is set to arrive on 3rd February 2017. 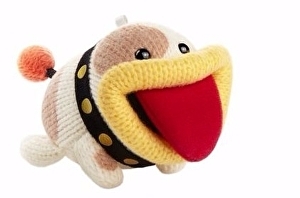 Included will be new levels starring Yoshi’s canine companion Poochy, who will also be available for you to own in real life as an adorable Yarn Poochy amiibo.